Purpose Statement: Partnership for Excellence in Family Support is an organized governance body for Family Strengthening Organizations throughout SLO County. Our purpose is to leverage resources, funding support and to integrate services for families and communities we serve. Center for Family Strengthening provides governance for the Partnership for Excellence network and ensures projects and activities are in line with mission and goals. 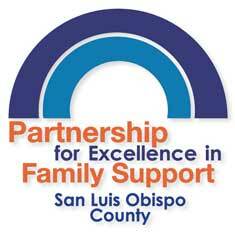 View Partnership for Excellence in Family Support organization chart here. 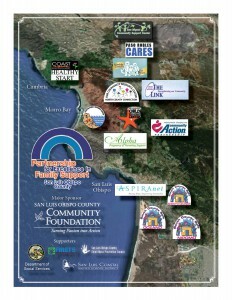 Below is a map of Partnership for Excellence in Family Support (PEFS) network members. Click on image for detailed view.